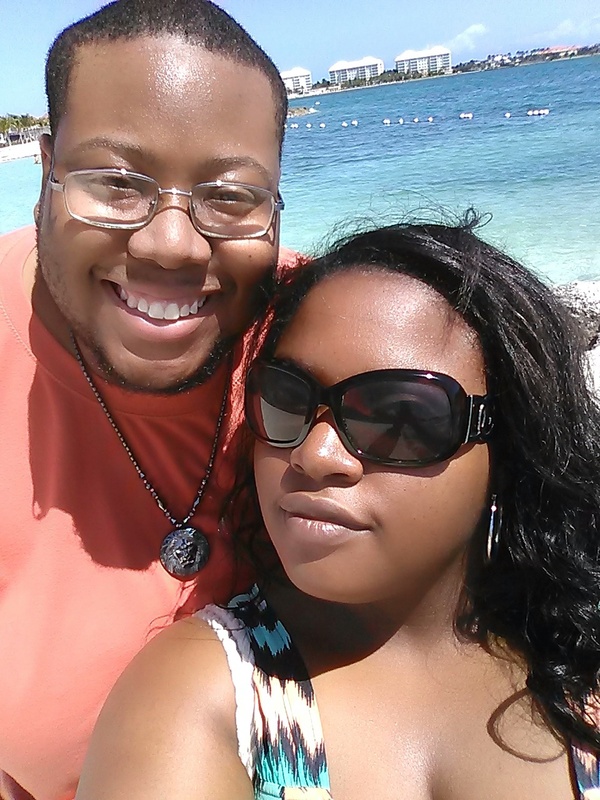 What up guys and gals, we posted a new video to our YouTube channel! 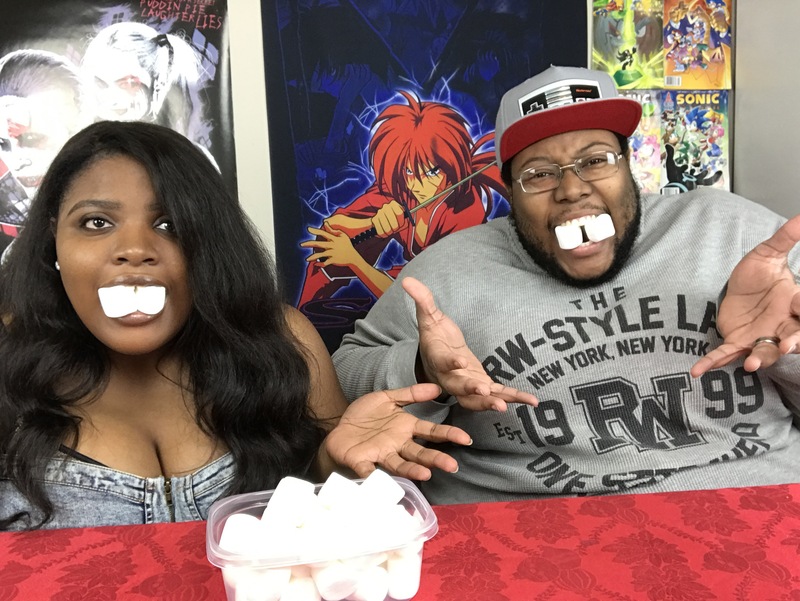 It’s called the Chubby Bunny Challenge! Hope you check it out asap! Okay so let’s begin this journey with the most common boarder you will ever encounter in this field. The Barker. This is the dog that is in the kennel whom is a master of sheer destruction via sound waves. Once they enter your facility this beast will never stop barking. 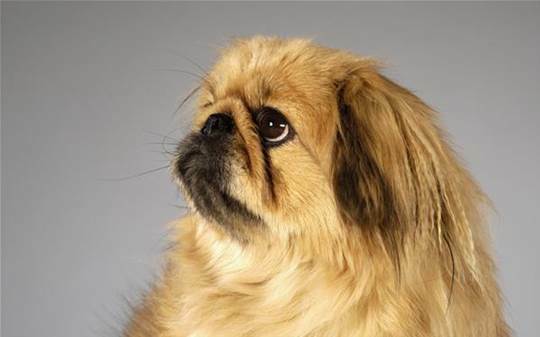 Whether it’s high pitched yips or low baritone Woofs, this dog will bark for the duration of its stay at your kennel. This poor beast doesn’t even stop barking to sleep. So since this beast won’t sleep you assume it will stop barking to eat. You are wrong, you naïve fool, so wrong! 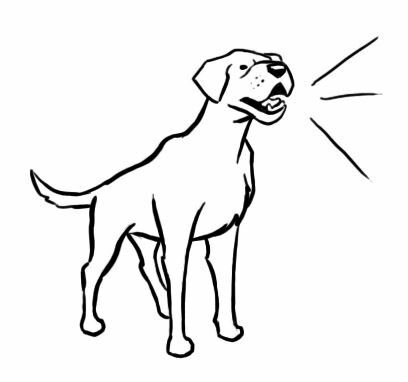 No meal or treat will stop this dog from singing you the song of its people. After about 8 hours of this The Barker goes through a transformation that takes their bark to the next level. It now barks with enough passion, power, and volume to summon Christ himself. Bless your eardrums. This poor unfortunate soul has the title The Fearful One. Nothing makes your job in veterinary medicine more aggravating and dangerous than a fearful. 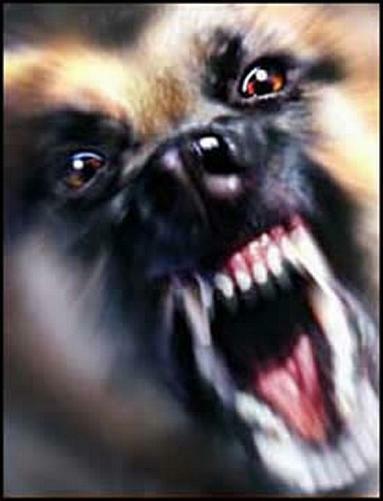 A fearful pet is more likely to get extremely desperate and attack to garner its freedom from you. In the case of boarding, fearful dogs and cats cower into the corners of their cages. I’m talking about an impossibly small ball in the impossibly cramped corner of the cage. All in hopes that it was an accident that you opened their kennel. Once the realization sets in that you meant to do this they activate their next line of defense, excrement. Submissive urination, defecation and emesis from being overly worked up is all a possibility with an extremely fearful dog. Once you breach their second line of defense and clean up the mess their third and final option becomes clear in their mind. It’s a two-parter as well. First these dogs have mastered fear biting and will use it at will if provoked enough, second once they have bit or snapped at you they will escape by any means necessary. Remember this dog isn’t biting you to kill you, it’s doing so to make an opening for escape. These pets aren’t truly aggressive just terrified of you. This class of boarder is known as The Junkie, or at least by the time you are done with your shift you feel that way about them. This pet is usually at or over geriatric age and has been given a diagnosis that will result in death were it not for the miracle of modern medicine. When you work for a facility that offers medical boarding you are a godsend to those owners who don’t trust a pet sitter to give medications, so take pride in what you do. But, that doesn’t mean we aren’t aggravated by the fact that your P has 7-8 different medications all given at varying dosing times, which are staggered throughout the day and not given together in any way shape or form! My god why can’t they all be given together (If possible lol)? Now every thirty minutes we’re medicating your dog. We don’t mind, but if your pet doesn’t want the pill, we have to use a pill pocket. If they don’t want that we try to hide it in wet dog food. If that fails we enter into a UFC brawl with the pet, putting them in some form of headlock that allows us to pry open their overly powerful jaws to shove a pill down their throat. This method results in one of two options: The dog bites you either by accident or on purpose because we are essentially gagging them for a moment. The second option is that pet NO LONGER trusts us and feels betrayed by our actions making each dosing after that harder. That look of disappointment and disdain afterwards just makes you feel sooo bad, but you remember that he has 72 more pills to take and you don’t feel so bad anymore. Okay in the mind of an overly creative imaginative vet tech such as myself this is the scenario that plays in my head when it comes to The Apex Predator: The owner of this dog stops at the door and kneels down to whisper into their ear and casts a spell of true malice and malevolence while “Eye of The Tiger” plays softly in the background. As the spell is casts the ancient spirits of prehistoric wolves, velociraptors, and your elementary school bully now possess this dog making him the most demonic thing you will ever encounter in your working life. The Apex Predator enters your facility in pure rebellion of your kennel. It matters not who they see, they will bite/claw/maim all that are unfortunate enough to pass them. They exhibit multiple forms of aggression. Cage aggression, kennel aggression, dog aggression, male aggression, there was a breeze aggression, I hear a voice aggression, you have a mother and father aggression, all of them. It’s safe to say that this pet was a T-rex in its past life. When the owner comes to pick up the spell is broken and they become extremely cuddly towards you and everyone around you. This cast the illusion that he was like this for his entire stay. This then prompts the owner to schedule another visit with your facility, YAY!!! But, they only try to do it when you work, NOOOOOOO!!!! This is plain and simple. The Cat isn’t a complicated boarder, but it can be the most exhausting of the lot. Cats are either sweet cuddly balls of fur that you love to rub on and give attention while they stay with you. Or they are dark malicious phantasms born of fire, brimstone, hate and dragon’s piss! Sent fourth from the bowels of hell to render your mind, body, and soul null and void as it reigns down its unholy terror upon you. All just to feast on what remains of your dried up husk of a vet tech simply because it was mad at the fact that it was brought to your kennel. Yup, simple indeed. 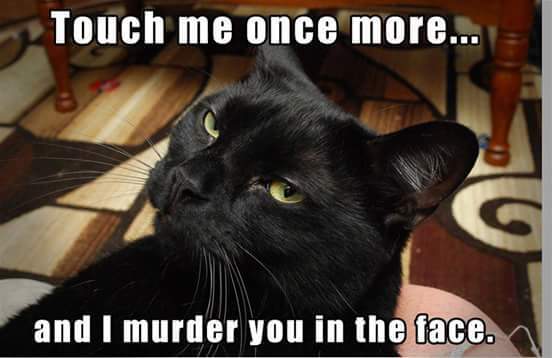 A purr angel, or Lucifer’s left nut, that’s what you get with cats. But that’s just my two cent on the matter. Remember these are just the over simplifications and exaggerations of what we do at the job for satirical purposes. Not a direct reflection of any facility. Except the cat part… that’s just life. Sooo my life has been stressed as of late and there are a few things that bring me to the brink if a psychopathic rampage now. It would be epic if I’m ever pushed beyond the threshold I’m tap dancing on. So in an effort to find a therapeutic release that was legal, I made a list. This is a huge annoyance. I’m talking terror alert will increase the closer in proximity you are to me. It can occur in any and all checkout lines put I’m pointing fingers, toes, elbows, and flashing neon lights at Wal-Mart. 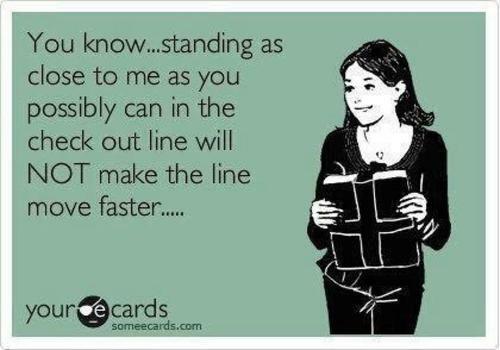 When you are in line and you feel that you just had an uncomfortable, unpleasant threefold with your wife and the middle aged lady behind you then that person is TOO DAMN CLOSE! In this day and age you must trade your soul, your dog, your first born, and the next pope for a full tank of gas. 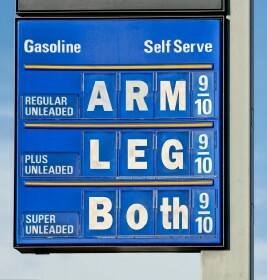 Honestly when was the last time you saw a full tank of gas and didn’t have a slight regret about the situation? 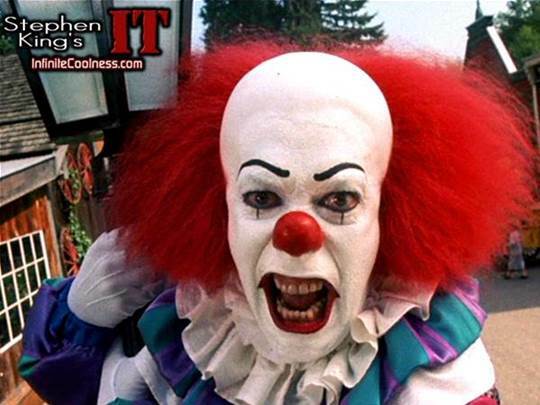 Last but certainly not least is this subspecies of primate known as the clown. A being sent from hell to force happiness and joy upon you under the guise of slapstick comedy and facial paint. All attempts to hide their murderous intent to devour your soul as they lack their own. Once the jokes stop and the curtain goes down they roam our lands like the walking dead, laughing, playing weird music, spraying you with toxic chemicals pretending it’s a water gag. It’s no damn gag! It’s probably a sedative to improve their hunting odds and guaranteeing them your soul! If you can’t tell I hate them Sooo much.